Monomi Park Forums • View topic - Wiggly Wonderland is HERE! 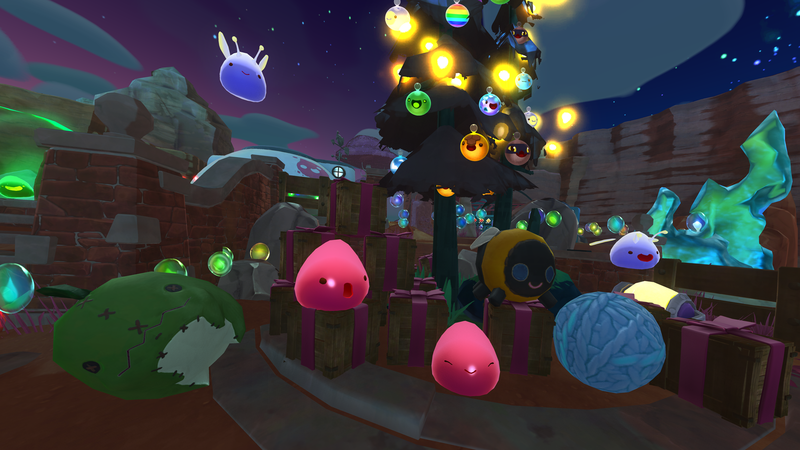 Celebrate the Season with Slime Rancher's Wiggly Wonderland! 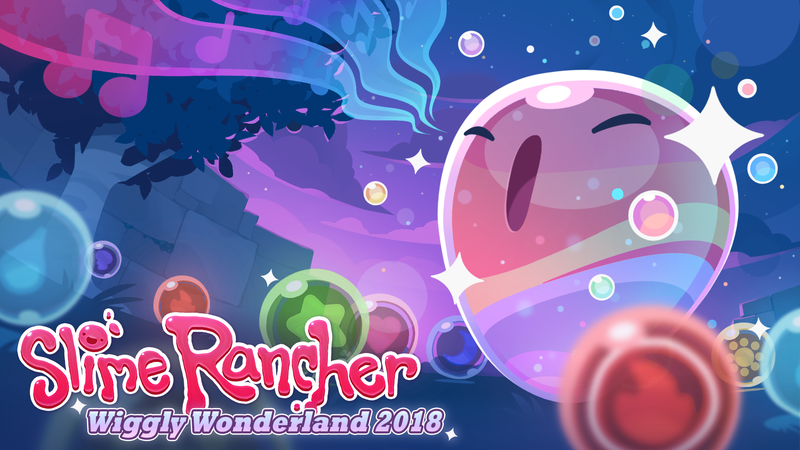 Few ranchers have ever even glimpsed a twinkle slime, with most believing it to be a legend, but those that have know it's real! Some believe that if you find a twinkle slime it will leave you with a gift to collect. The twinkle slime will appear somewhere on the Far, Far Range once per day between Dec 18 - Dec 30 (based on your local time). Follow the music to find the twinkle slime and collect its parting gift. We’ll be posting hints on where the twinkle slime has been spotted, so check our Twitter (http://www.twitter.com/MonomiPark) around 9AM PT throughout the event for a hint on each day’s location! Last year’s Wiggly Wonderland was a blast and we’re excited to bring back another holiday giveaway for you to join! Share your holiday adventures by tweeting us, posting on Instagram, or sharing on Facebook using #WigglyWonderland for a chance to win a Slime Rancher-themed ASTRO A40 headset! As with last year, you can post as many times as you’d like throughout the event! So GIF, screenshot, and capture our hearts with your holiday spirit!! Winner will be selected January 4th and will be contacted via comment or Direct Message. For full giveaway rules please go here.